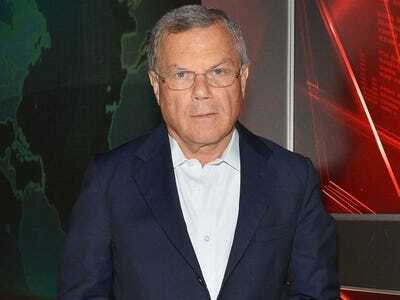 A third (33.45%) of advertising firm WPP’s shareholders voted against CEO Sir Martin Sorrell’s £70.4 million ($100.3 million) 2015 pay deal at the company’s annual general meeting in London on Wednesday. A shareholder revolt was expected to happen at the AGM, as a number of advisory firms lined up over the past few days to tell shareholders to vote against Sorrell’s pay deal, which was up nearly 64% on the previous year. During that time, WPP says the company’s market capitalisation increased by over £10 billion ($14.5 billion) and its shares rose 98%, while the FTSE 100 increased by only 5.8%. The LEAP scheme was replaced with a new scheme in 2013, which is expected to “substantially” lower Sorrell’s total compensation in future financial years. Despite these reassurances, a representative from charity ShareAction said this year’s LEAP package “goes a step too far.” The ShareAction representative said it would take someone on the national living wage 4,394 years to earn Sorrell’s salary.